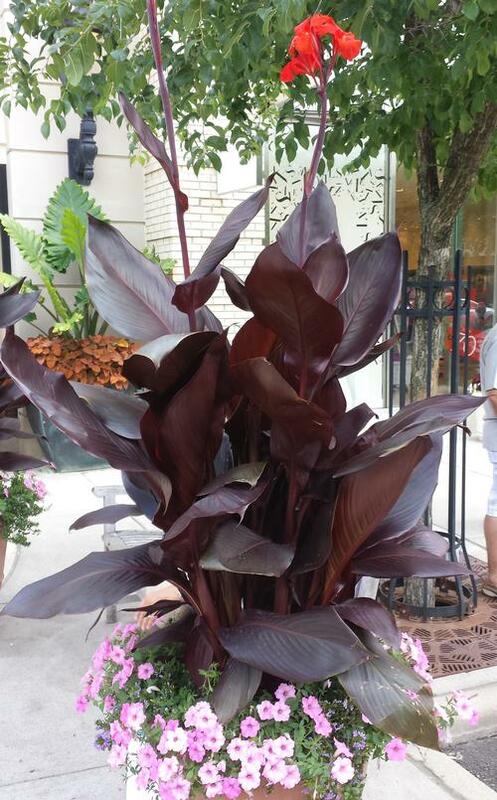 Very dark burgundy-black foliage with orange-red flowers, thick glossy foliage maintains color all summer. Cannas are excellent landscape and patio plants. They also add height, texture, and color to the perennnial border. Plant roots horizontally and cover with 1-2" of soil. Grow at 65-70'F night temperatures and market as soon as the first leaves begin to unfurl. Fertilize with 200 ppm Nitrogen of 20-20-20 weekly.